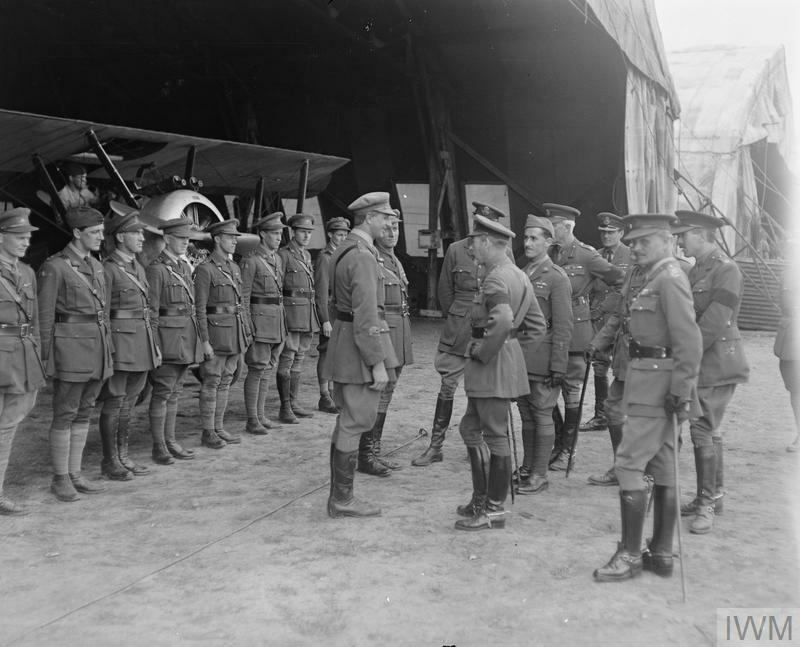 Officers of 3rd and 4th Squadrons, Australian Flying Corps, being presented to King George V at Reclinghem aerodrome, 10 August 1918. The King is talking to Captain Arthur ‘Harry’ Cobby RAF, who had then destroyed 30 enemy machines. Image courtesy Imperial War Museum © IWM (Q 11126). This entry was posted on June 30th, 2018.